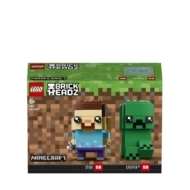 - Buildable Steve and Creeper™ LEGO® BrickHeadz™ construction characters feature decorated eyes and authentic details from the smash hit Minecraft™ game, including a pickaxe and a detachable ‘diamond’ sword. - Have fun growing your LEGO® BrickHeadz™ collection with other characters from your favorite films, TV series and comics. 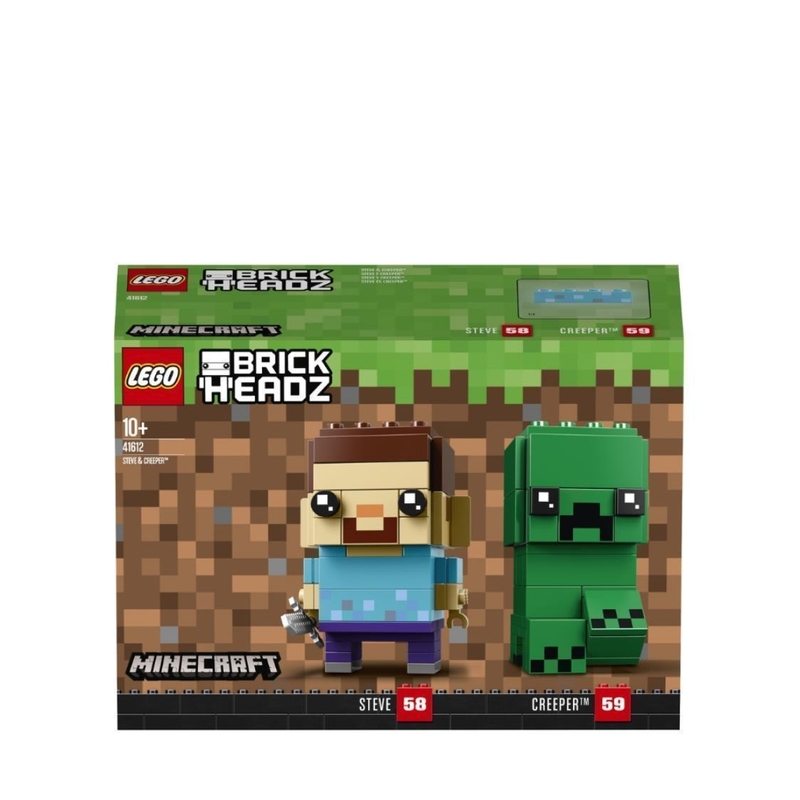 - Mash up your LEGO® BrickHeadz™ construction characters to create supercool hybrids or your own amazing characters. 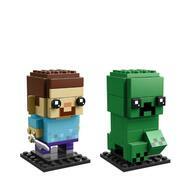 - Each character stands over 2” (7cm) tall without baseplate. - Baseplates measure over 1” (4cm) square.